This article was last updated Oct 31, 2018, but some terms and conditions may have changed or are no longer available. For the most accurate and up to date information please consult the terms and conditions found on the issuer website. The Visa Signature® Flagship Rewards Credit Card got a major upgrade in September, including an attractive sign-up bonus, more points per $1 spent in key categories and a travel fee statement credit of up to $100. Existing customers will be automatically upgraded to the new card, so there’s no need to do anything on your end to take advantage of the new features. For a limited time, get 50,000 points after spending $4,000 in the first 90 days of opening your account. That's enough for a $500 flight, hotel stay, car rental, cash back or gift cards! Expires Dec. 31, 2018. They also Earn 3X the points on all travel purchases, 2X points on everything else. But not everyone can get this card — you must belong to the Navy Federal Credit Union before you can apply. Those eligible are active-duty members, reservists, veterans, retirees and annuitants of the Army, Marine Corps, Navy, Air Force and Coast Guard. It also covers Department of Defense (DoD) civilians, U.S. government employees and contractors assigned to DoD installations, and their eligible family members. While the upgrades on the Visa Signature® Flagship Rewards Credit Card are nice, there are still other cards out there that have higher points per $1 spent in top categories and offer more perks and benefits. One of them you may want to consider is the Citi Premier℠ Card. Better rewards. Cardmembers can now Earn 3X the points on all travel purchases, 2X points on everything else. The old offer only offered higher points per $1 spent on hotel stays and airline miles. Broader travel definition. You earn higher points per $1 spent on airline and train tickets, ride-sharing services, public transit, hotel stays, tolls, car rentals and parking. Flexible redemptions. Use your points to pay for travel-related rewards like airfare, hotels and car rentals on the Navy Federal Rewards website. You can start redeeming travel rewards at 100 points, so 50,000 points converts into $500 that can go toward a round-trip airline ticket. Your points are also good for gift cards, cash back or in the card’s online Member Mall. There you can earn up to 15 points or up to 15% cash back per $1 spent, depending on where you shop. You also have access to special offers and free shipping from select stores. Good perks. The card comes with up to a $100 statement credit for TSA Precheck or Global Entry. You also get travel accident insurance, travel and emergency assistance, extended warranty and cell phone protection. Cover your annual fee. The card has a $0 intro annual fee for the first year; $49 will apply thereafter. You’re able to pay the card’s annual fee going forward with 4,900 points. No caps on rewards. There’s no limit on the rewards you can earn. As long as your account is open, those rewards won’t expire. Time limit on sign-up bonus. You only have until Dec. 31, 2018, to take advantage of the chance to For a limited time, get 50,000 points after spending $4,000 in the first 90 days of opening your account. That's enough for a $500 flight, hotel stay, car rental, cash back or gift cards! Expires Dec. 31, 2018. The fee. This card does come with a $0 intro annual fee for the first year; $49 will apply thereafter. The upgrades made on the Visa Signature® Flagship Rewards Credit Card are good, but perhaps you want more perks and flexibility with your points. Consider the Citi Premier℠ Card — you won’t be required to join a credit union or be attached to the military to be eligible. This card is good for those who spend the most on travel, dining and entertainment, all for an annual fee of $95, waived for first 12 months. Its sign-up bonus — where you Earn 50,000 bonus ThankYou® Points after you spend $4,000 in purchases within the first 3 months of account opening — is the same as what’s offered by the Visa Signature® Flagship Rewards Credit Card. Cardholders also Earn 3X Points on Travel, Including Gas Stations, Earn 2X Points on Dining Out & Entertainment, Earn 1X Points on All Other Purchases. You’ll want to use the card’s points in the ThankYou® Travel Center to get the most out of them. When you redeem them for airfare, you get 25% more value for them. Book your airfare without worrying about blackout dates, minimum stay requirements, seating limits and Saturday night stays. Your points can also be used in the ThankYou® center for gift cards, shopping, bill pay, cash rewards and charitable donations. You can transfer your ThankYou® points to 15 global airline loyalty programs at a minimum of only 1,000 points. Having access to the benefits of the ThankYou® Travel Center is something you don’t get with the Visa Signature® Flagship Rewards Credit Card. It’s the same with dining, which covers restaurants, cafes, bars, lounges and fast food restaurants. Entertainment includes live theater, concerts, sporting events, movies, amusement parks, zoos, aquariums, circuses, carnivals, tourist attractions like museums and art galleries, record stores, video rental stores and on-demand internet streaming media. Both cards have annual fees that start after the first year. 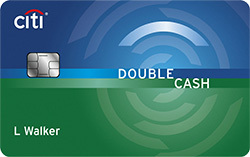 However, the Citi Premier℠ Card allows transfers to airline but not hotel loyalty programs, unlike other travel cards. And it doesn’t have the perks you’d expect from a travel card, like a credit for Global Entry or TSA Precheck enrollment fees, auto rental and travel insurance, lost luggage reimbursement and trip assistance like other cards, including the Visa Signature® Flagship Rewards Credit Card. All you get with the Citi Premier℠ Card is Citi® Concierge service. Check out our list of the best rewards cards. Cardmembers holding the older version of the Visa Signature® Flagship Rewards Credit Card should be happy to see these upgrades. Everyone likes earning more points per $1 spent in top categories, and the Visa Signature® Flagship Rewards Credit Card did this by expanding the travel category beyond just hotels and airlines. You also get a credit for Global Entry or TSA Precheck fees. Couple this with the travel and purchase perks and you have a solid card option. 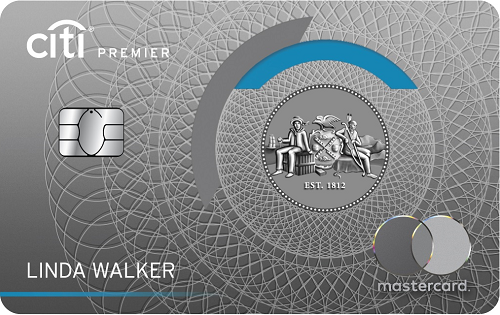 The Citi Premier℠ Card is available to anyone who can qualify. It offers some of the broadest definitions of travel and dining when it comes to earning points, and you have to love the extra value you get with them when you use them in the ThankYou® Travel Center. 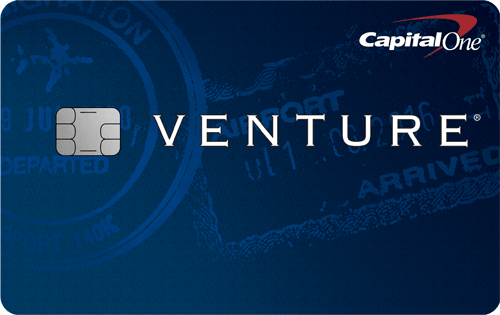 But the Visa Signature® Flagship Rewards Credit Card offers much better perks than the Citi Premier℠ Card. These cards are close in what they offer, but the Visa Signature® Flagship Rewards Credit Card wins, thanks to its generous points per $1 spent in popular categories, its Global Entry/TSA fee credit and good perks, even with its $0 intro annual fee for the first year; $49 will apply thereafter annual fee.